What is a Solid Foundation Home Inspection? For 25 years, Solid Foundation Home Inspections has been one of the premier home inspection companies in the New Jersey area. We understand that you are placing your trust in us to provide a detailed, competent inspection. It's a responsibility we do not take lightly. Our comprehensive home inspections and thorough inspection reports will make the entire home buying process easier and less stressful for buyers or sellers involved in the real estate process. 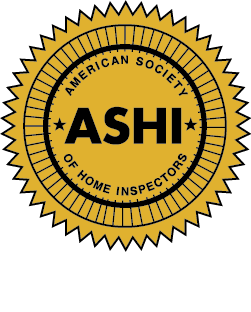 Our home inspection is an unbiased, professional assessment of the condition of the property performed by Michael Kenny, who is a gold standard ASHI Certified and licensed Home Inspector. Even though a home may be new, there are still defects to be found. Most people think twice about whether to have an inspection done on a new construction home, but it is still very important that a home inspection be performed. Before you buy a historic home, you need to find a home inspector with experience and the training to understand the original structure and any changes that may have occurred to the home over time. This is the third times we employed Mike's expertise and Solid Foundation Home Inspections. He inspected for us back in 2008, lived there for 4 years, he NAILED everything that we came across. 6 years later, we relocated back to the area, and didn't hesitate to call him for a mini consultation about a house we were interested in. He pointed out a few key things which definitely helped us making the decision to move on. He is extremely thorough and goes through every single thing while performing a full inspection. My other half, the agent and he spent a good 4 hours to go over a 2200 sq ft house in detail. Along the way he explained how everything works and the risk of not repairing certain key items found. He is definitely one of the most detail orientated inspectors we have come across in the past 20 plus years. Thank you! Mike Kenny was punctual and very thorough. He was very easy to work with and willing to give detailed explanations (very helpful for the first time home buyer). Highly recommend! Mike, from Solid Foundation Home Inspections, pointed out a few key things which definitely helped us make the decision to move on. He is extremely thorough and goes through every single thing in a full inspection. My other half, the agent and he spent a good 4 hours to go over a 2200 sq ft house in detail. Along the way he explained how everything worked and the risks of not repairing certain key items found. He is definitely one of the most detail orientated inspectors we have come across in the past 20 plus years. Thank you! Mike, of Solid Foundation Home Inspections is super friendly, easy to speak with, and detailed. He walked around my home with me, pointing out items of note, and answered my questions clearly and respectfully (even my silly questions). It seems other inspectors I've dealt with can come off a bit condescending or cocky, so Mike was a breath of fresh air. Thank you sir! When Mike arrived to inspect our house, he was incredibly thorough and came prepared with a variety of tools and gadgets none of the other professionals we've dealt with have used. His sophisticated piece of equipment sniffed out a gas leak in the area. None of the other professionals we dealt with were able to find a problem, and I appreciate how thorough this company was in helping us solve the issue. Mike's inspection left us armed with a variety of such solutions, and I feel confident that we are now on top of a number of issues with our home that other professionals chose to sweep under the rug. I recommend Solid Foundation Home Inspections wholeheartedly! CLICK HERE to Request an Inspection…. We provide home inspection services in the entire north and central areas in New Jersey.